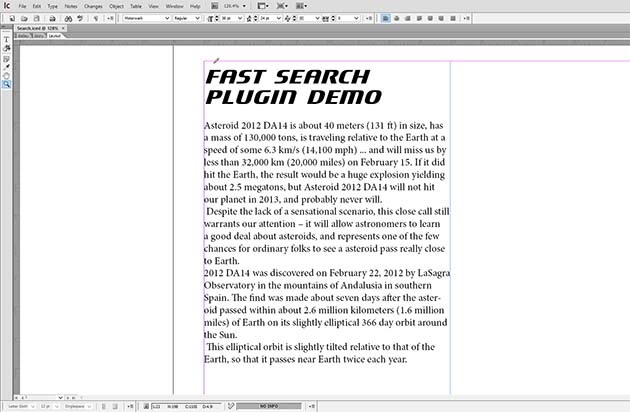 Watch this demo of Fast Search in Adobe InDesign or InCopy CS6. 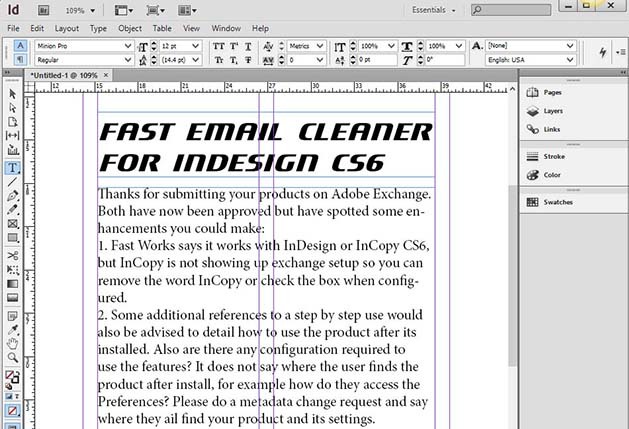 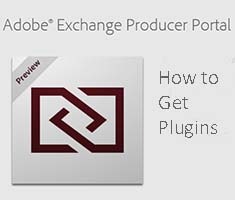 Watch this demo of Fast Email Cleaner in Adobe InDesign or InCopy CS6. 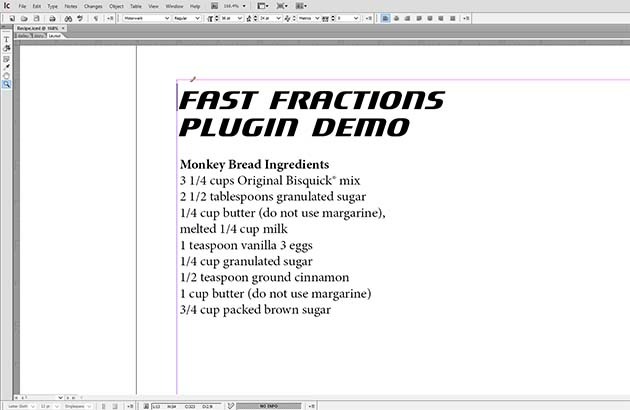 Watch this demo of Fast Fractions in Adobe InDesign or InCopy CS6.